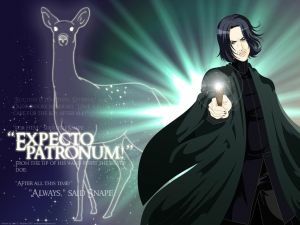 December | 2012 | Expecto Patronum! UNLOCK “Boggart” (JKR-Exclusive Content). I especially enjoy the list of famous boggarts. CAST THE RIDDIKULUS SPELL! This is really fun! You can reload the page to get different boggarts. You need to double-click or zoom in to get the Riddikulus spell. Riddikulus is a slow-moving spell, so even most novice spell-casters can probably cast it. Ghostly-singing lady boggart (Banshee?). 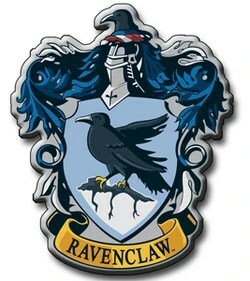 Riddikulus makes her face shrivel and robs her of her voice. Ghastly, bloody mummy boggart. Riddikilus splats him on the ground and takes off his head. Severed-hand boggart, which crawls across the floor. Riddikulus immobilizes it… I think. Giant tarantula (or is that acromantula) boggart. Riddikulus makes it shrivel up. It doesn’t really make sense to discuss Zoom levels in this scene, because you can move the frame so many times. So I’ll just talk about double-clicking and zooming in. UNLOCK “Sir Cadogan” (JKR-Exclusive Content) by clicking on his picture frame. (This should be fun, as I’ve always loved the crazy knight!). And OMG! He was a friend of Merlin’s! And a member of the Round Table! Hover your cursor to get Sir Cadogan’s visor to lift up, to get his pony to whinny, and to get his sword to move. Double-click or zoom in start moving with Sir Cadogan from his own picture to other pictures. First stop: a brick wall to the left. You can hear Sir Cadogan’s armor clanking as he runs towards the next picture. Double-click or zoom in again to go left to a portrait of some high class ladies seemingly shocked at Sir Cadogan’s appearance in their frame. (Pottermore is definitely making me want to read PoA again… because I’d love to re-read the Portrait of Sir Cadogan’s adventures in this scene). The sighing and other sounds the ladies are making are just a tad… embarrassing. Double-click or zoom in again to go left to a lamp on the brick wall. Double-click or zoom in again to go left to a portrait of chanting monks. Double-click or zoom in again to get Sir Cadogan to enter the monk’s frame. Hover your cursor over him to get him to wave. Nice artwork. I’m not finding anything at the moment, though, to collect. Move your cursor to make Trelawney’s teapot sing. Hover your cursor to make objects on the right wall move. COLLECT an Exploding Snap Pack of cards. COLLECT Chocolate Frog Card for Cassandra Vablatsky (the seer who authored Unfogging the Future, our 3rd year Divination text). COLLECT – surprise! – a tea cup! Hover your to get the Hippogriffs in the foreground to move. 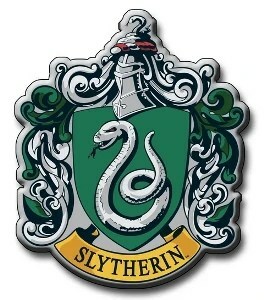 Draco and company are to the right. Harry and company are to the left. 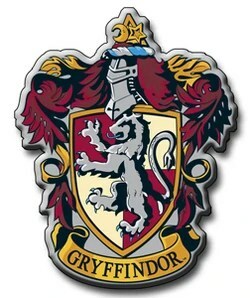 Hover your cursor to get the Hippogriff in the background to flap his wings. UNLOCK “Professor Kettleburn” (JKR-Exclusive Content). And if you thought Hagrid was reckless with Magical Creatures… just wait till you read up on this guy! It’s raining outside the Hogwarts Express. You can see a Dementor facing off with Remus Lupin through the window to the car. Hover cursor over Lupin’s left hand to get him to conjure flames and illuminate the scene. If there is anything else to be found or done in the scene, I haven’t discovered it so far. Perhaps they will add a reading from the audiobook at some point in the future (as they’ve done for some of the “empty” scenes in PS/SS). Hover cursor over Harry’s wand to see it light up and reveal the eyes of the “Grim” (aka Padfoot). Those eyes are actually pretty scary. If you move your cursor to the back left of Harry, you can see the top of the Monster book move. Hover your cursor to get a sleeper to snore and a suitcase and a walking stick to fall. You can also make an object move on the floor, but I’m not sure right now what the object is. UNLOCK “The Knight Bus” (JKR-Exclusive Content). I particularly enjoyed the comments on drink spillage and pureblood-fanatic outrage. Then, of course, there’s JKR own comment on the naming conventions she used. Makes the Knight bus move. At first, I thought that another double-click makes the Knight Bus tilt, but I think it just tilts at random times, or maybe as a result of hovering the cursor. Whatever, the bus tilts left and it tilts right. :) Anyway, I did enjoy seeing what it looks like to ride the Knight Bus when there are NO shrunken heads talking up a blue streak. COLLECT Galleons. Yes, those things that looks like balls rolling when the Knight Bus tilts are actually Galleons. You can collect then if you click fast enough. I’ve collected 2, but there’s a third that rolls from the left side across the foreground. I haven’t been able to catch that one yet. Ripper is one ugly, mean looking dog, isn’t he? The noise Vernon Dursley makes sounds almost as animalistic. UNLOCK “Aunt Marge” (JKR-Exclusive Content). It includes information on the driving force behind the nasty way Marge treats people, plus a note from JKR on her attitude toward bulldogs. You can unlock the content by clicking on the glass that’s been tipped over on the floor.